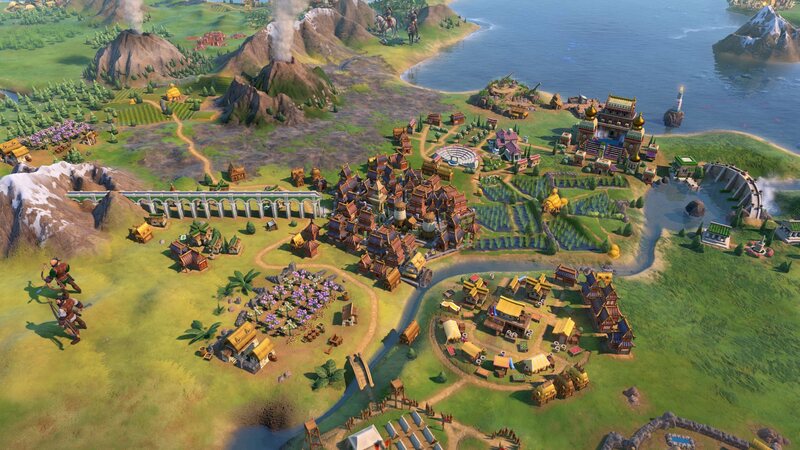 É necessário o jogo base Sid Meier's Civilization VI na Steam de forma a poder jogar. 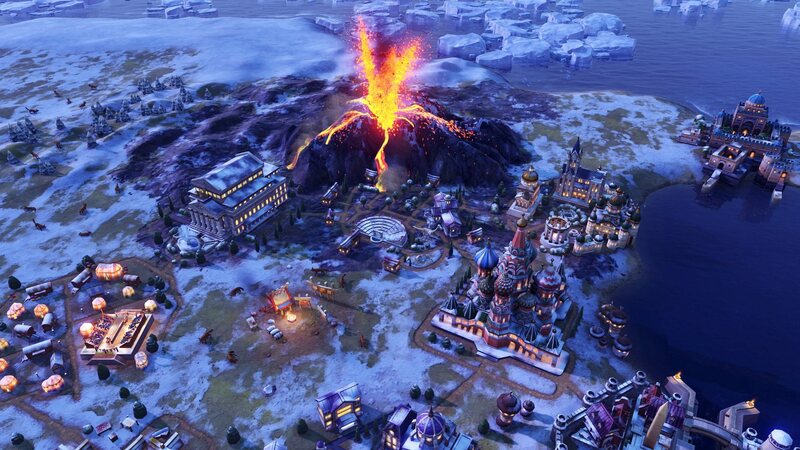 In addition to these new systems, Civilization VI: Gathering Stormintroduces eight new civilizations and nine new leaders. 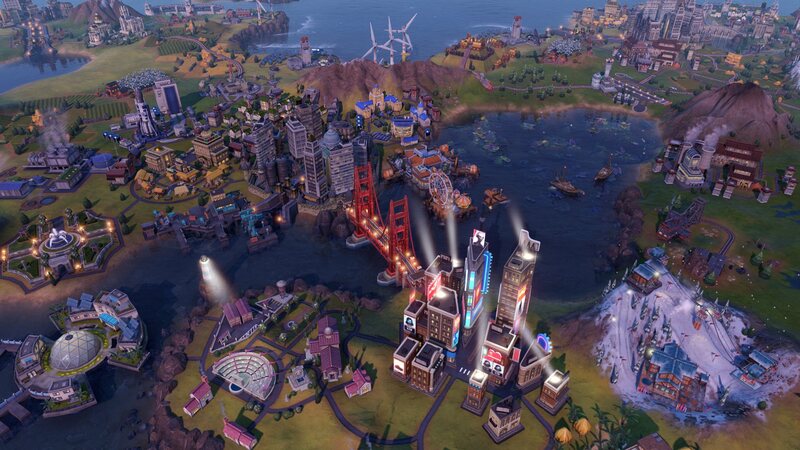 Seven new world wonders can be constructed, as well as a variety of new units, districts, buildings, and improvements. Volcanoes, storms (blizzards, sand storms, tornados, hurricanes), climate change, floods, and droughts. Strategic resources play an additional role in Gathering Storm. These resources are now consumed in power plants to generate electricity for your cities. Initially you’ll be powering your most advanced buildings by burning carbon-based resources like Coal and Oil, but renewable energy sources also unlock as you progress to current-day technologies. Your choices about resource usage will directly affect the world’s temperature and can cause melting ice caps and rising sea levels. Shape the world around your empire to overcome unfavorable land conditions by making improvements like canals, dams, tunnels and railroads. When settling cities, consider the flood risk to coastal lowland areas, but keep in mind that in the late-game, new technologies like Flood Barriers can be used to protect these tiles. Make your voice heard among the other leaders of the world. Earn Diplomatic Favor through Alliances, influencing city-states, competing in World Games, and more. Use Diplomatic Favor to extract promises from other leaders, vote on Resolutions, call a Special Session to address an emergency, and increase the weight of your votes in your quest to achieve the new Diplomatic Victory. A new era has been added to the Technology and Civics trees. Combat new environmental effects with speculative ideas such as relocating your population out to seasteads and developing technologies to recapture carbon emissions. Nine new leaders from eight new civilizations are introduced. Each brings unique bonuses and gameplay, as well as a total of nine unique units, four unique buildings, three unique improvements, two unique districts and one unique governor. War Machine: At the outset of WWI, the German Imperial Army had a daring plan: invade neutral Belgium and then rush the French heartland before they could mobilize to resist. If successful, the German forces would capture Paris within a month and end their resistance forever. In counter, the French command prepared Plan 17, an all-out onslaught designed to meet and stop a German offensive. When war was declared, both armies swung into motion and set up one of the most incredible and shocking military campaigns in world history. In this multiplayer scenario, players take the side of one of these two great powers at this same precipice. As Germany, your task is to capture Paris. As France, your task is to prevent its capture. The clock is ticking, and the enemy is moving. Advance! 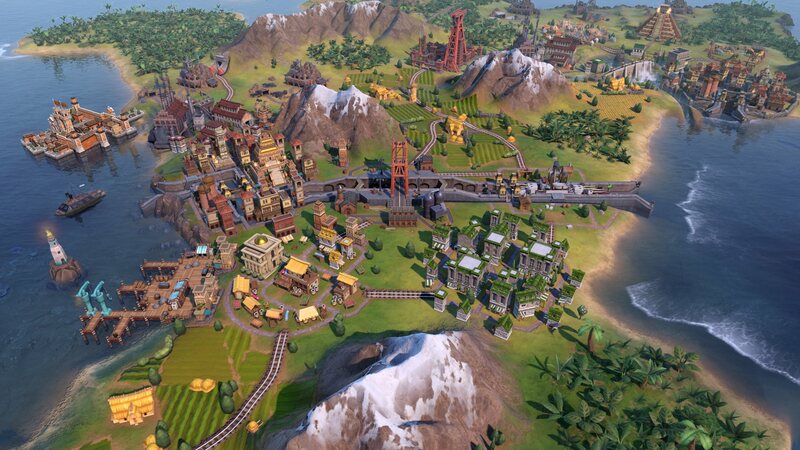 Seven new world wonders, seven natural wonders, 18 new units, 15 new improvements, 9 new buildings, 5 new districts, 2 new city sets, 9 new techs and 10 new civics have been added. The Espionage system has been enhanced with new options, the Culture and Science Victories have been updated, new Historic Moments have been added, and additional improvements have been made to other existing systems.